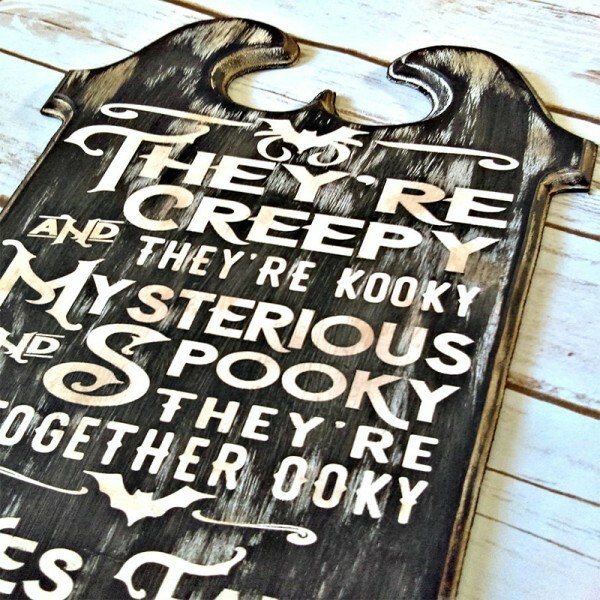 Show trick-or-treaters and visitors you’re the spookiest house on the block with this gothic style Halloween sign. 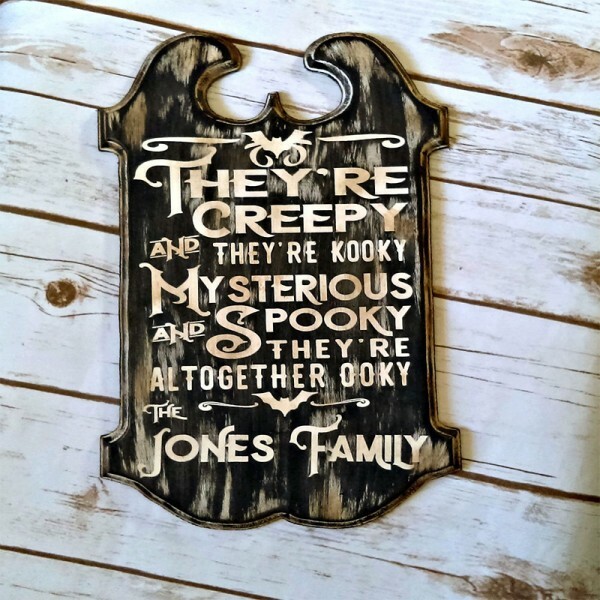 Family name is engraved on the decor with a keyhole on the back for easy hanging. Personalized with your family name. Please note that each sign may vary slightly due to different lengths of family names. 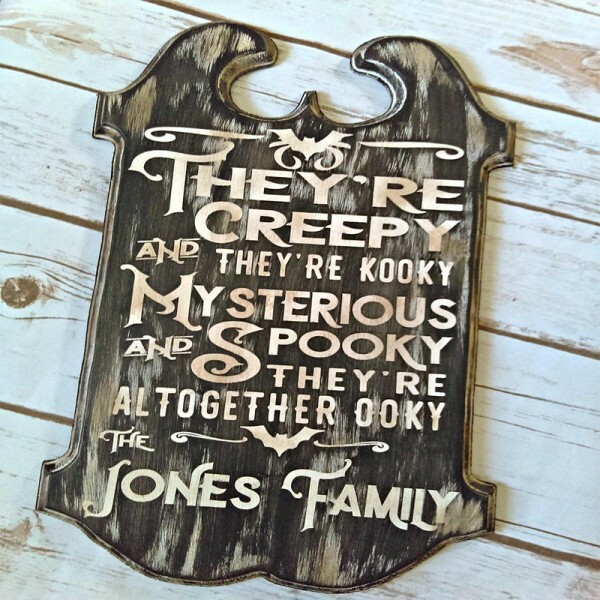 Question about Personalized Halloween Decor is Successfully Submitted.